RBSXTG-5HnD is end of life (EOL). MikroTik recommends RBSXTG-5HPacD for functional replacement. 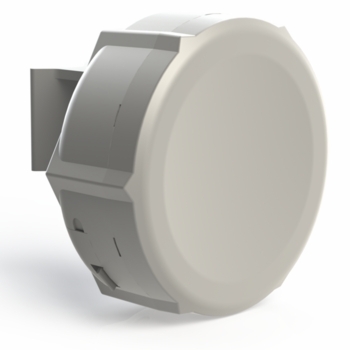 SXTG-5HnD is a low cost, high speed 5GHz outdoor sector AP, with a Gigabit port, to fully utilize the capacity of 802.11n. At 25° degree beamwidth, you can conveniently create sector setups with a few client devices because this device comes with an AP license (Level4). Complete with a ready to mount enclosure and built-in 16dBi antenna, the package contains everything you need to make AP, point to point link or CPE. Package contains SXTG-5HnD, mounting loops, PoE injector, power adapter .